Once you have mapped out the locations of your food plots, you will need to decide what type of feed will go in them. Are you trying to attract wildlife year-round or just wanting to increase traffic and production for part of the year? Understanding the physical characteristics and primary purpose of the site will determine the best seed-mix for your food plot. Lastly, implement measures to protect your food plots. Plot screens or barriers can be integral to the success of your food plots. Plot screens allow you to shield or hide the food plots from people and predators and create a quality, secluded habitat for animals. The safe nature of food plots protected by screens will increase usage of the plots during the daytime. When choosing a screen, the key is to use a plant that won’t be considered as food by deer or other animals. Egyptian wheat, switchgrass, and Sudan grass are all great choices to use. Natural barriers like a hillside or soil berm can also serve as screens for your food plot. Hunting, whether enjoyed solely by the landowners’ family and friends or if the landowner hosts hunts on his private property to bring in supplemental income, is a longstanding cultural way of life for the rural and farming family. The state of Florida is known for the wide range of animals available to hunt. The animals typically harvested during a Florida hunt are whitetail deer, wild hog, wild turkey, quail, and others – depending on the season and location of the land. The introduction of food plots for owners of recreational land presents a great advantage when it comes to successful hunting and attracting wildlife to your land. When developing a food plot, keep it simple and create a system that is as beneficial to the animal(s) you are trying to hunt or attract, as it is to the land. If done correctly, you can not only improve the quality of hunting on your land, but you can create a continuous cycle of wildlife inhabitation on your land. Food plots are meant to maximize the migration of animals and improve the nutrition of the land without having so much food available that deer and other animals lose the motivation to move. Feeding plots are generally larger than hunting plots and encourage animals to move to the area by creating a safe haven. When planning for a food plot, it is important to consider the size of your land, what areas are the most likely to attract animals relative to the areas you frequently hunt, and what type of food you will use. Food plots don’t have to be big; one to three acres will suffice depending on the size and layout of your land. Previously farmed and cleared areas can make for good food plot sites. What is important, is to keep them centrally located and away from neighboring land, public areas, roadways, or preserved land. Once you have mapped out the locations of your food plots, you will need to decide what type of feed will go in them. Are you trying to attract wildlife year-round or just wanting to increase traffic and production for part of the year? Understanding the physical characteristics and primary purpose of the site will determine the best seed-mix for your food plot. Lastly, implement measures to protect your food plots. Plot screens or barriers can be integral to the success of your food plots. Plot screens allow you to shield or hide the food plots from people and predators and create a quality, secluded habitat for animals. The safe nature of food plots protected by screens will increase usage of the plots during the daytime. When choosing a screen, the key is to use a plant that won’t be considered as food by deer or other animals. Egyptian wheat, switchgrass, and Sudan grass are all great choices to use. Natural barriers like a hillside or soil berm can also serve as screens for your food plot. Food plots are an investment in your land and for some, your agribusiness. The monetary investment required to successfully install food plots on your land differs for everyone. For example, if there is not a pond or body of water nearby, a man-made watering hole might be necessary to further attract wildlife. If you are a recreational landowner looking for an agricultural lending solution to help you manage improvements such as the addition of food plots, check AgAmerica Lending’s revolutionary 10-year line of credit. Moreover, if you are a farmer or rancher looking to purchase a tract of recreational land, we offer customizable land loans to meet your needs. Contact AgAmerica Lending at 844-238-5312 and let our team of experts help you make a wise investment that works for the long-term. 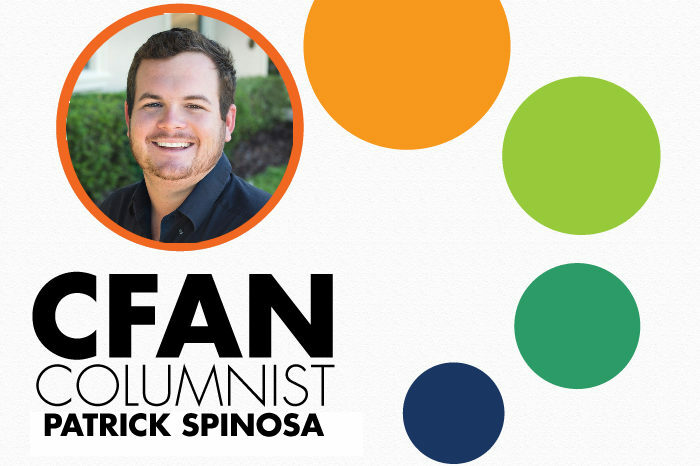 BIO: Patrick Spinosa, a Relationship Manager at AgAmerica Lending, grew up on a fifth-generation Florida citrus and cattle operation. He believes that experience and knowledge to be invaluable as he helps secure the financial future of our nation’s farmers and ranchers. For more information about Patrick and the AgAmerica Lending team, call 844-238-5312 or visit AgAmerica.com.